Create a larger, or smaller, dining table with the use of a butterfly leaf. With it’s ability to be stored right inside the table this leaf is easy to pull out at a moment’s notice. 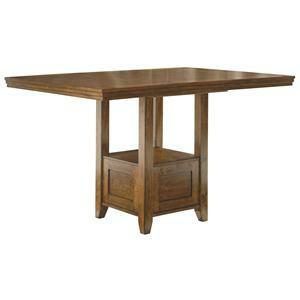 Add leaves to create a table that can be large enough to accommodate a large dinner party or your growing family. By adding or subtracting table leaves you can have a piece that fits your needs and changes up the look of your dining room effortlessly. 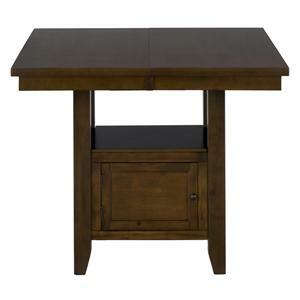 Add rich tones and convenient storage to your dining area with this double header counter table. 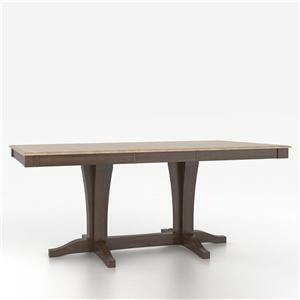 Clean lines give the piece a look of contemporary simplicity, while the Taylor Cherry finish exudes casual warmth. 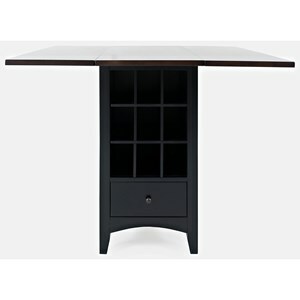 The pedestal features two doors that allow you to easily store and take out serving items or plates, bringing you effortless dining that epitomizes casual design. 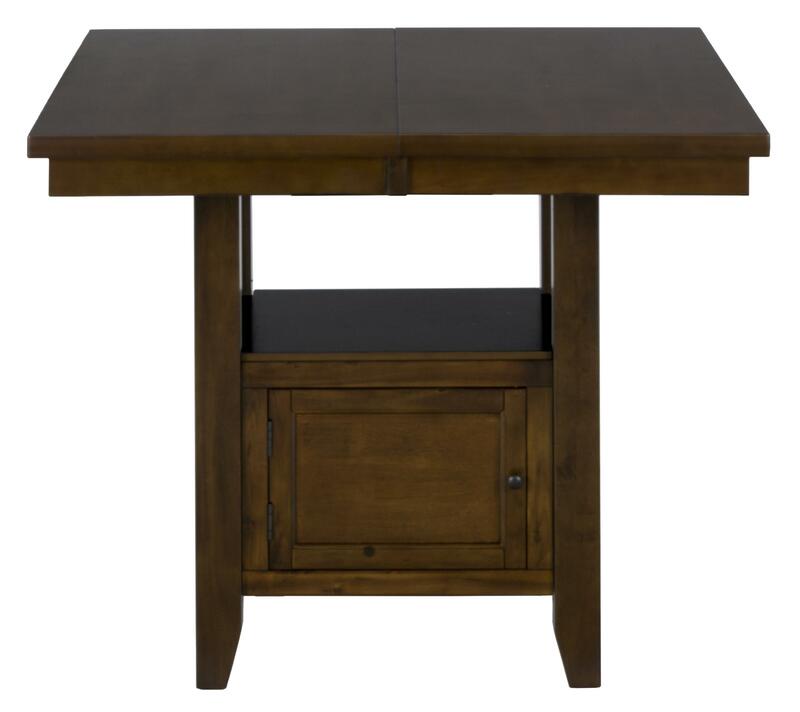 The Taylor Brown Cherry Double Header Storage Counter Table with 2 Doors by Jofran at Furniture and ApplianceMart in the Stevens Point, Rhinelander, Wausau, Green Bay, Wisconsin Rapids, Marshfield, East and West Madison, Wisconsin area. Product availability may vary. Contact us for the most current availability on this product. 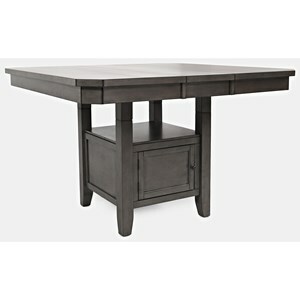 Enjoy delicious home cooked meals with family, friends, and guests over this classic dining table collection. 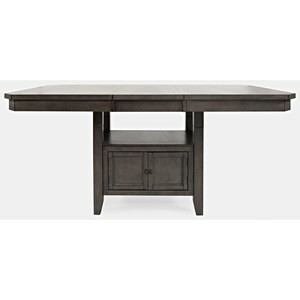 Each piece is expertly crafted from solid Asian hardwood and rubberwood veneers for a beautiful, natural wood grain look. A sophisticated Taylor Brown Cherry finish completes the wood construction for a smooth, polished brown hue. 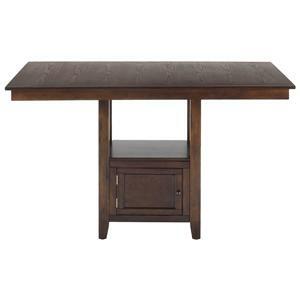 Perfect for casual dining rooms, this collection is a sophisticated touch to any home. 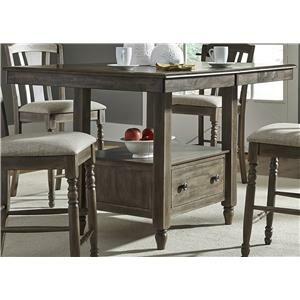 The Taylor Brown Cherry collection is a great option if you are looking for Casual furniture in the Stevens Point, Rhinelander, Wausau, Green Bay, Wisconsin Rapids, Marshfield, East and West Madison, Wisconsin area. Browse other items in the Taylor Brown Cherry collection from Furniture and ApplianceMart in the Stevens Point, Rhinelander, Wausau, Green Bay, Wisconsin Rapids, Marshfield, East and West Madison, Wisconsin area.